We started a summer enrichment camp in 2009 for campers 12-14 years old that wanted to continue their summer experience at Fernbrook Farms and throughout New Jersey. The Young Stewards Summer Camp focuses on having fun through hands-on experiences in our local agriculture, ecology, and community. Weekly field trips allow your children to discover the natural diversity of New Jersey. Guided by experienced and well-qualified staff members, campers will visit the Pine Barrens, explore the New Jersey coastline, learn the abundance of resources in our seasonal forests, and paddle local waterways to name just a few of the adventures. Activities on and off the farm aim to promote leadership, teamwork and ecological awareness for the Young Stewards. Young Stewards Summer Camp offers a variety of weekly themes that maximizes a campers potential to engage with nature which include day trip weeks, overnight camping on Fernbrook Farms, and 4-day/3-night hiking or canoeing trips to beautiful natural locations in the Mid-Atlantic. Past camping trips have included canoeing the Delaware River, hiking the Batona Trail in the Pinebarrens, canoeing the Susquehanna River through Pennsylvania, canoeing the Shenandoah River in Maryland and hiking a portion of the Appalachian Trail that runs through New Jersey. During the camping trip weeks, Mondays are devoted to team-building, practicing camping skills, and menu and gear preparation during a normal 8:30am-4:00pm camp day. On Tuesday, campers bring their camping gear and the group is driven to their starting point. Each day, the group canoes or hikes to their next campsite. By Friday campers are met at their ending point by a Fernbrook driver who brings them back to Fernbrook with great memories, new wilderness skills, and new friendships. Join us for as many weeks as you can! 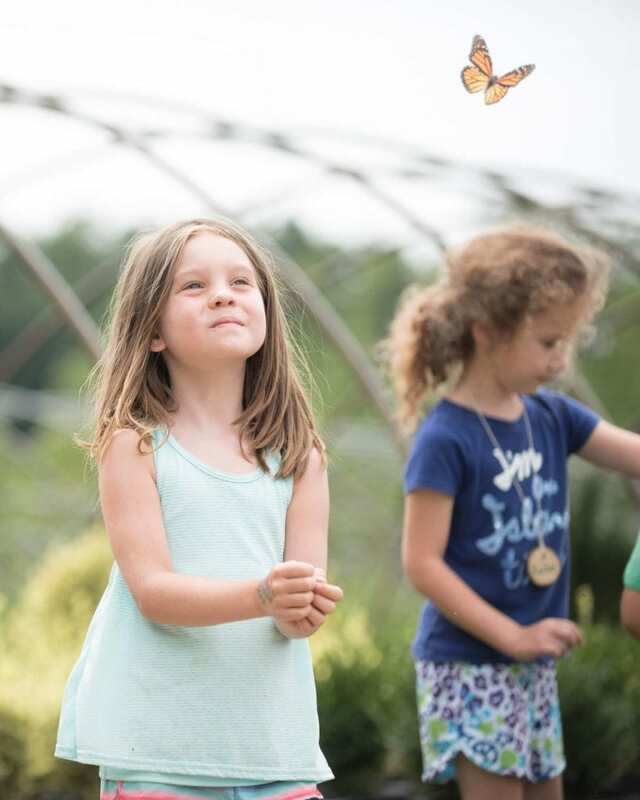 Fernbrook Farms Environmental Education Center offers Fiddlehead Summer Day Camp (age 6–11) and Young Stewards Summer Camp (age 12–14) weekly for 9 weeks during the summer. Your children may join us for one week or as many weeks as you wish. Days begin at 8:30am and run until 4:00pm with extended care available before and after the camp day. Healthy snacks are provided and campers are expected to bring a nutritious lunch. Camp is a time to experience new things, try a hand at the unexpected, and make life-long friendships to cherish every summer! Register early to reserve your spot—a variety of discounts are available.